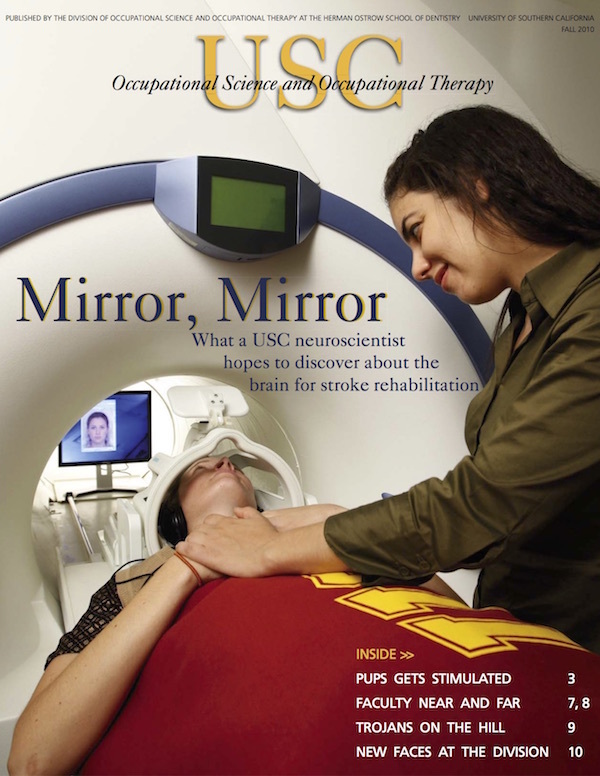 USC Occupational Therapy Heads to Washington, D.C.
Division Associate Dean and Chair Florence Clark, along with current USC OTD residents Michelle Farmer, M.A. ’10, and Kiley Hanish, M.A. 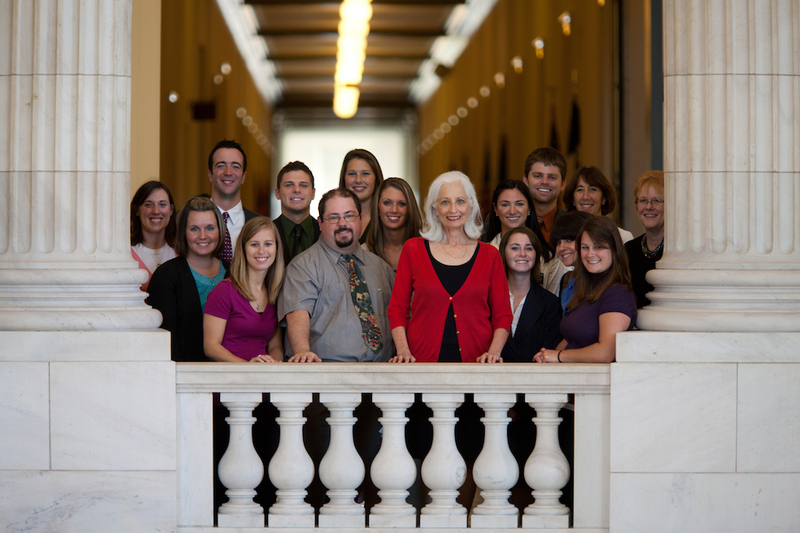 ’02, OTR/L, traveled in mid-September to Washington, D.C. to educate and lobby on behalf of occupational therapy. Their trip was capped off with AOTA’s Capitol Hill Day on September 20th, 2010, where they were joined on the Hill by over 400 occupational therapy professionals exercising their political voices in support of various occupational therapy legislative priorities. The group, which also included OTAC President Shawn Phipps, MS, B.S. ’97, OTR/L, and Denise Miller, MBA, OTR/L, AOTPAC Region V Director, met with representatives from the offices of Senator Schumer (D-NY), Senator McCain (R-AZ), Senator Boxer (D-CA), Senator Feinstein (D-CA) and Congresswoman Capps (D-CA). Among the issues discussed was S.1664, a bill to elevate the grade of the Chief of the Army Medical Specialist Corps (AMSC), who oversees all Army occupational therapists, from the current rank of Colonel to Major General. The bill will give AMSC officers the higher rank necessary to more equally participate in critical decisions made at the highest levels of the Army Medical Department. In other meetings, discussions focused on Center for Medicare and Medicaid Services’ (CMS) proposal to the 2011 Medicare Physician Fee Schedule, which would reduce reimbursements to occupational therapy by a CMS estimated 12%. The group emphasized the centrality of occupational therapy to safe and healthful aging and aging-in-place, and requested Representatives’ signatures on an objection letter to be sent to CMS. Also discussed was the extension of the Medicare therapy cap exceptions process, which is currently due to expire on December 31st, 2010. Representatives were requested to support S.43/H.R.46, the Medicare Access to Rehabilitation Services Act, which would repeal the caps entirely. Visit aota.org/advocacy-policy.aspx to learn more about AOTA’s priorities in political lobbying and advocacy.